The peer-driven nominations, followed by independent research and peer evaluations of the Super Lawyers process, make the selections a significant achievement. 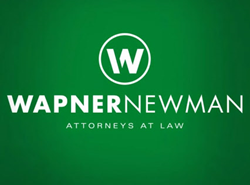 Distinguished Eastern Pennsylvania injury law firm Wapner, Newman, Wigrizer, Brecher & Miller, P.C., appreciates the recognition from Super Lawyers of its attorneys who exhibit excellence in practice. With just 5 percent of all lawyers in each state included on the annual Super Lawyers list and an even more competitive 2.5 percent on the annual Super Lawyers: Rising Star list, the firm acknowledges the value of having multiple attorneys selected – some more than once in their careers. Setting the bar almost impossibly high, Partner Steven G. Wigrizer has been selected to Super Lawyers every year from 2004 to 2016. A past president of the Philadelphia Trial Lawyers Association, chairman of the Philadelphia Bar Association Fees Dispute Committee, and hearing examiner for the Pennsylvania Disciplinary Board, he has also been routinely named a Top 100 Trial Lawyer in the country by the National Trial Lawyers Association and has been rated by Martindale-Hubbell Peer Review as excellent for his ethical standards and legal ability. A role model for attorneys of all experience levels, Managing Partner Marc G. Brecher also has been selected to Super Lawyers for 2016. He has been designated a Super Lawyer since 2004 along with his partner Steven G. Wigrizer. Admitted to practice before the Supreme Court of the United States, he has been serving on the Board of Directors of the Philadelphia Trial Lawyers Association since 2012. He has been routinely chosen by the National Trial Lawyers Association to the Top 100 Trial Lawyers list, and has the highest rating in legal ability and ethical standards from the Martindale-Hubbell Peer Review. Partner Adam S. Getson joined the firm as an associate in April 2004 and achieved partner status in January 2014 due his hard work and dedication. He has been selected to Super Lawyers: Rising Star every year from 2012 to 2016, and has been recognized as one the National Trial Lawyers Association’s Top 100. He serves as an Arbitrator for the Philadelphia Court of Common Pleas, and is an active volunteer for the Philadelphia Cares program. Associate Samuel A. Anyan, Jr., has been selected to Super Lawyers: Rising Star in 2016. He has had this honor since 2012. Named a Lawyer on the Fast Track 2011 by the Legal Intelligencer publication and a former board member of the Barristers' Association of Philadelphia, he received his Juris Doctorate from Howard University School of Law and his LL.M. degree in trial advocacy from Temple University School of Law, graduating with honors. Associate Jason S. Weiss has also been selected as a 2016 Super Lawyers: Rising Star, distinguished in Medical Malpractice as a Plaintiff’s attorney. Since joining the firm in 2011, he has worked closely with Partner Steven G. Wigrizer, contributing to tremendous results on a range of cases. He received his Juris Doctorate from the Rutgers School of Law – Camden, where he was a member of the Rutgers Law Journal.